the rider simply wanting greater enjoyment of their horse. 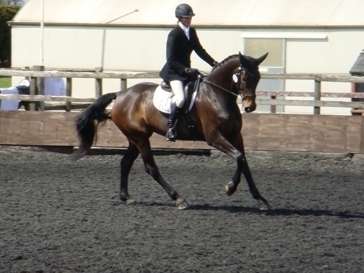 coaching dressage, showjumping and cross country. Cluedo`s First Outing. 28 March 2015. Cluedo went to Hill House for his first ever competition today. No issues getting on, which is always a relief with Cluedo, new environments tend to make him quite on edge and reactive. Warmed up well, once he got over his initial nervousness. Little spooky again when he left the warm up and went into the main arena, but then settled quickly and performed a very respectable first test for 69.50%. Well not as successful as our last outing at Sheepgate. I always try to be ready for the spook when the imaginery monsters in Phoebes head suddenly appear in the dressage arena, but after warming up well, she was too quick for me in her first test, and the unwanted step back, rear and attempt to spin, suddenly resurfaced! Some very nice comments from the judge, but not what I needed on our last outing before the Area Festival Championships at Hartpury. Thankfully she redeemed herself in her second test, and achieved 68.00%, but she was still on edge and looking for monsters throughout. 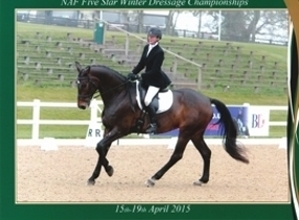 Phoebe, Area Festival Championships at Hartpury. 15 April 2015. 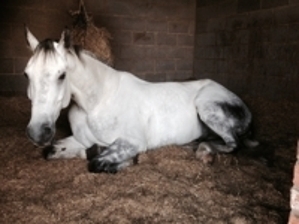 We arrived mid afternoon Tuesday, and had Phoebe settled in her stable within 30 minutes of arrival, thanks to very efficient Hartpury organisation. Easy stretching work that evening before an arena familiarisation walk. Wednesday we had an early test time. Phoebe warmed up well, but performed a mixed test. Some lovely work for 7's and even the odd 8, but unfortunately interspersed by some 4's and 5's, when the horse eating arena monsters suddenly appeared! Overall a positive experience. Area Festival at Sheepgate. 3 October 2015. An early start, and a long day but very pleasing results. 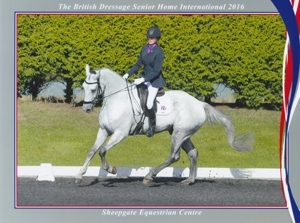 Cluedo, having only recently been registered with BD gained a very respectable 8th place in the Novice Open section. A promising test, although he was somewhat unsettled, as it was only the second time that he had travelled with Phoebe, and he was calling to her for much of the test. Phoebe has just moved up to Medium level, and gained 9th place in the Restricted section. A solid test, but she still has to strengthen much more before she can gain the higher percentages. Cluedo. BD Hill House. Saturday 28th November 2015. Two tests showing much more maturity. 68.54% and 70.35% for two wins at novice level. Definitely ready for bed that night! British Horse Society Flatwork with Poles Clinics, 2015/2016. Once again I will be coaching at the BHS Clinics to be held at Riseholme College on the following dates: 31st October 2015, 5th December 2015, 16th January 2016, 20th February 2016 and 26th March 2016. All ages and abilities are catered for. Groups of three. Warming up for two Medium tests. British Horse Society Flatwork with Poles Clinics 2016/2017. Open to all, you do not have to be a BHS member. Maximum of 3 in a group. Experienced or inexperienced - all welcome. First three clinics now complete. All fully booked. Different polework exercises at each clinic. 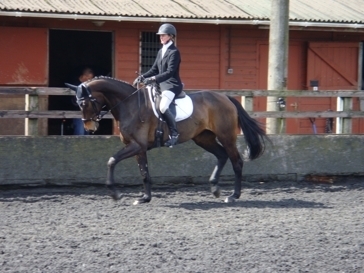 Lots of lovely horses and riders showing fabulous progress. Keep up the good work everyone. 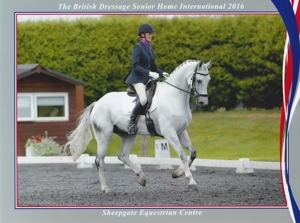 Just received email that I have been selected on Cluedo to represent British Dressage Northern Region and England at this years Senior Home International at the beginning of October. Lots of practising ahead. 1/2 October 2016. BD Senior Home International. 17 October 2016. Arena Refurbishment Complete. 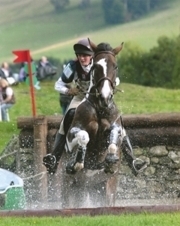 Caroline is running a series of clinics for riders to prepare for the forthcoming event season. 'Wobbleberry' riders are more than welcome. To be held at Riseholme College, Riseholme, Lincoln. LN2 2LG. This is a great opportunity to prepare for the coming season. Developing skills for showjumping and cross-country using exercises in an indoor arena. Improving technique and confidence to tackle skinnies, angles and corners. Sunday 8th January 2017. Sunday 19th February 2017. Sunday 19th March 2017. £24 per rider BE members. £28 per rider non-BE members.